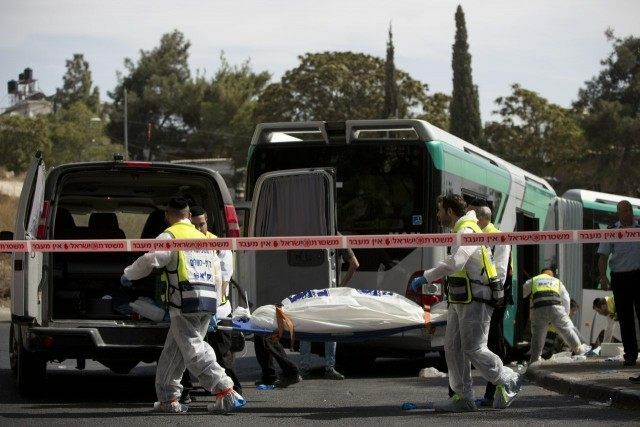 The terrorist who carried out the shooting attack at the Hizme checkpoint outside of Jerusalem on Thursday was a member of the Palestinian security forces, the Bethlehem-based Ma’an News Agency reported. According to the report, the shooter was Mazen Hassan Oraiba of the east Jerusalem neighborhood of Abu Dis, a Palestinian intelligence officer. An IDF soldier and an Israeli civilian were wounded in the shooting at the Hizma checkpoint outside the Jerusalem neighborhood of Pisgat Ze’ev on Thursday.